Clare didn’t have a satisfactory answer so he began a 21 year 1000+ person research study. Most people know of Maslow’s pyramid of needs, yet few people have heard about Graves’ often contradictory findings (Maslow acknowledged Graves’ theory to be superior to his own). The 578 pages of original research was later collected and published in 2005 as “The Never Ending Quest“. Luckily for us, my friend Steve McDonald started a weekly radio show with Nyck Jeanes to share these invaluable insights and to use them as a lens to look at what is happening right now in the worlds around us. At the beginning of 2019 I started streaming these shows online. 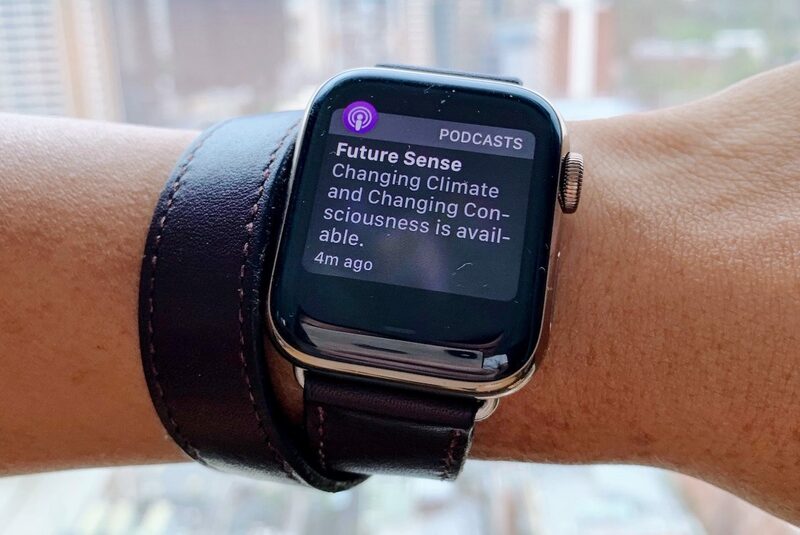 You can now listen to Future Sense wherever you get your podcasts, including Apple Podcasts, Spotify, Twitter, Stitcher and Overcast. An introduction to Clare W Graves: This is a great starting point for anyone who hasn’t heard of the work. Steve describes the first six expanding layers of consciousness that were identified through the long term study, and how they can be seen both in ourselves as well as our societies today. Listen on Apple Podcasts, Spotify. Drivers of change and anthropocentric science: Knowing the stable layers is great, then this show describes some of the markers of change and what they can look like between each of the layers. You will recognise some of these descriptions in your own experience as you grow. Listen on Apple Podcasts, Spotify. Changing climate and changing consciousness: This show looks at how changing consciousness is diluting the scientific method, as well as how complex adaptive systems operate, and some evidence for global cooling. Listen on Apple Podcasts, Spotify. Already we have expanded the network from the literal radio waves of 99.9 in the Byron Bay Shire across Australia to Cyprus, Spain, Thailand, Canada, England, Argentina, Vietnam, New Zealand, the US and beyond. Please rate the show in your podcast app, send your comments, and get in touch to fund the distribution of future episodes. Enjoy the show.